This entry was posted in Film Features and tagged Cambodia music scene, documentary film, Don't Think I've Forgotten, John Pirozzi on March 5, 2014 by Sohrab Saadat Ladjevardi. 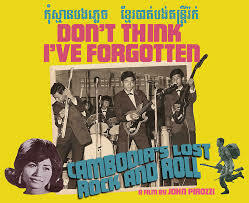 Asia Alt Music News: Metal Postcard To Re-Release Long Lost Cambodian Psych Classic by Drakkar Band!! Check out these funky dudes The Drakkar/Thra Kha / Dra Kha Band. They’ve just reformed after 40 + years and are currently playing live in Phnom Penh. 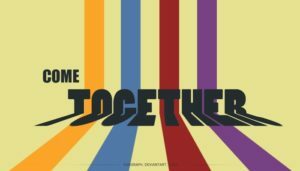 Metal Postcard hopes to re-release their original album very soon. 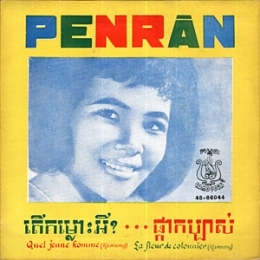 This album is so bloody rare only about 20 people in Cambodia actually know of its existence and a few adventurous souls who could be bothered to comb the cassette stalls of Phnom Penh. This entry was posted in East Asia and tagged Cambodia music scene, Drakkar Band on December 17, 2013 by Sohrab Saadat Ladjevardi. This entry was posted in East Asia and tagged Cambodia music scene on March 16, 2013 by Sohrab Saadat Ladjevardi.